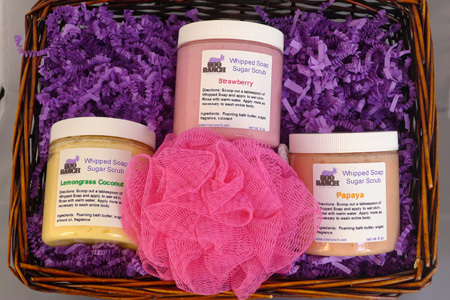 Take your choice of three delicious 8 oz Sugar Scrubs. Included is a brightly colored shower pouf. Packaged in a gift basket on a bed of colorful shredded paper and topped with a pretty ribbon.